Eleven years ago today, we thought that we would never laugh or smile again. How very wrong we were. 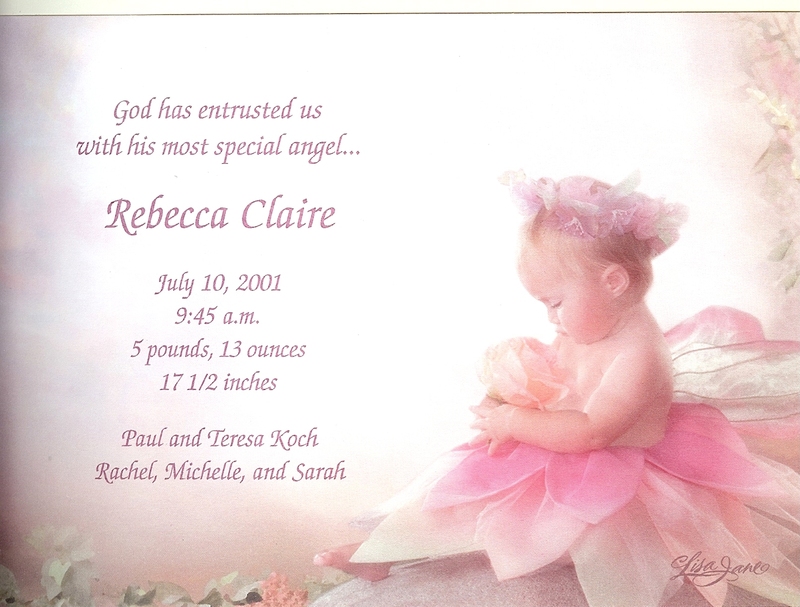 Eleven years ago today, we thought that God had made a mistake and given this precious little girl to the wrong family. If God ever figures out that he really DID make a mistake, he’s not getting her back. Eleven years ago today, we thought that life as we knew it was over. And in a way, that was true – our lives have never been the same. 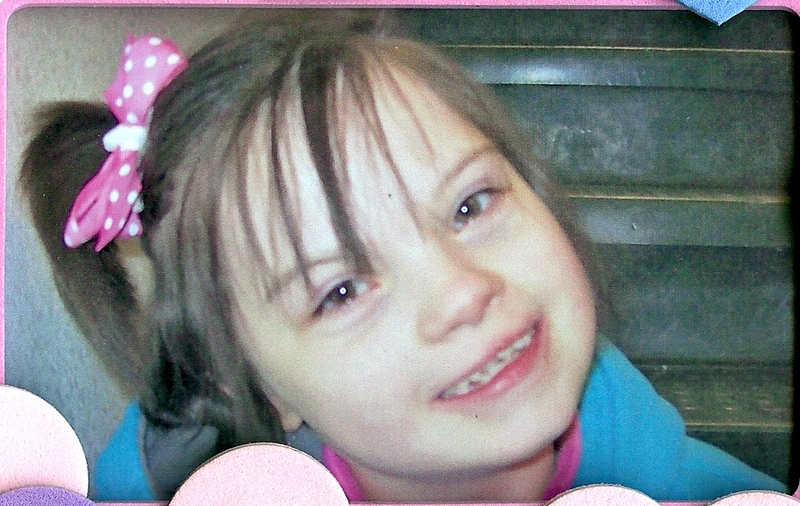 We are the richer because of a sweet little angel who was sent down from Heaven to brighten the lives of everyone around her. But Teresa, you really ought to put a kleenex alert on things like this. Luckily for me, I always keep a box of kleenex next to the computer. I read the “banana split” story yesterday and just started bawling – I could tell by looking at him that he had Down syndrome. Most of the heart issues that DS babies have are “fixable” these days – unfortunately, his wasn’t. It makes me so sad to know that his family will have no more happy days with him – and it reminds me of how very, very lucky we are that Rebecca has always been so incredibly healthy. The Little One is one smart cookie! 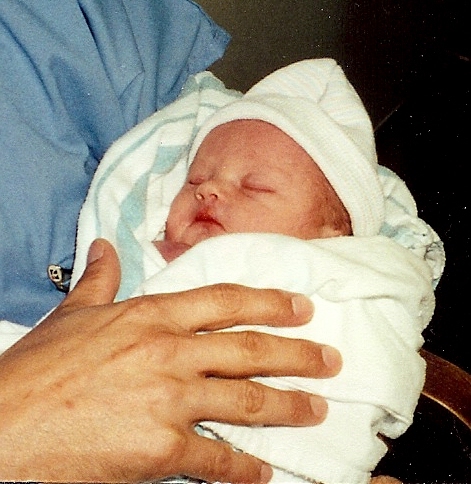 HAPPY BIRTHDAY TO MY VERY SPECIAL YOUNGEST GRANDDAUGHTER – i LOVE YOU VERY MUCH. Happy Birthday, sweet Becka girl! We love you a ton!